This story updates Kenyans Turn to Wild Fruits and Insects as Drought Looms published on Jan. 31, 2016. NAIROBI, Feb 13 2017 (IPS) - Experts warn that Kenya is in the grip of the worst drought in recent history as government estimates show the number of people who are acutely food insecure has risen to 2.7 million, up from two million in January. This has necessitated the government to declare the crisis a national disaster as large parts of the country continue to succumb to the ravaging drought. The drought is putting 11 million people in Kenya, Somalia and Ethiopia in urgent need of aid. At least 11,000 livestock across the country are facing imminent death due to lack of water and pasture, this is according to the National Drought Management Authority. The drought management authority issued further warnings to the effect that pastoral communities could lose up to 90 percent of their livestock by April. But children are still the most affected, with official government reports showing that an estimated one million children in 23 of the country’s 47 counties are in dire need of food aid. 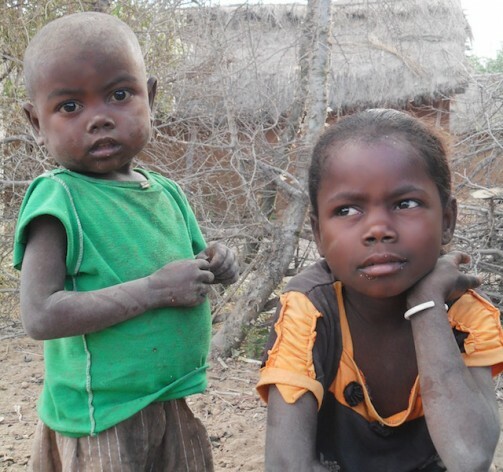 “The prevalence of acute malnutrition in Baringo, Mandera, Marsabit and Turkana counties in Northern Kenya where the drought is most severe is estimated at 25 percent,” Mary Naliaka, a pediatrics nurse with the Ministry of Health, told IPS. The drought is region-wide. On Feb. 10, the International Federation of the Red Cross and Red Crescent Societies said the drought is putting 11 million people in Kenya, Somalia and Ethiopia in urgent need of aid.